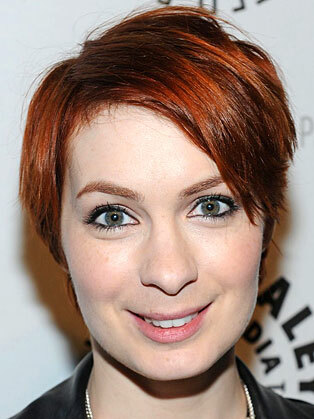 Felicia Day is best known for being an actress and has acted in movies such as Bring It On Again and June, as well as Joss Whedon’s Internet musical Dr. Horrible’s Sing-Along Blog which was ranked in the Top 10 Best TV of 2008 by Time Magazine, Entertainment Weekly and People Magazine and won an Emmy in 2009. Day is also the star, writer, and producer of the original web series The Guild, a show loosely based on her life as a gamer. The Guild has won numerous awards for web video excellence, most recently garnering a PGA nomination for best web series in 2011. She has expanded the brand into numerous merchandizing opportunities, including a hit comic book series with Dark Horse Comics. Under her production company Knights of Good she also wrote and starred in the web series Dragon Age: Redemption and in 2012 she launched a funded YouTube channel called Geek & Sundry. Since launching in April 2012, the channel has garnered over one million subscribers and over 200 million views. In 2014, the company was sold to Legendary Entertainment. Felicia continues to work as creative chief officer with her company, as well as develop television and web projects for her to write, produce and star in.